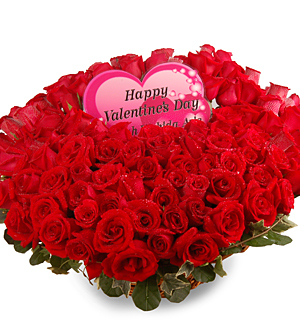 Nothing says as much as a splendorous arrangement of stunning Red Roses and a customized heart shaped Card for the greatest woman of your life. 72 stalks of Roses. Your personalized Message will be custom print on the heart shaped Love Card. Shades and tones of color of the Roses may varies depending on batches. Accessories used and aesthetic may differ for outstation and last minute orders. For further assistance, contact our florist @ Pods & Petals Giftlab at +603-78830233 / +6012-6915200 or sales@gift-lab.com for enquiries.